As per the title, this tomato sauce is delicious! It couldn’t be easier to make as well which is always a plus in my book. It has a deep and rich tomato flavour. It’s so good, I am always tempted to eat it with a spoon, straight out of the jar. In order to get this richness however, it needs to be cooked for a fair amount of time. But do not panic, it actually require very little effort while cooking, merely a stir from time to time, nothing too strenuous. I tend to cook this sauce for a good 2 to 3 hours. 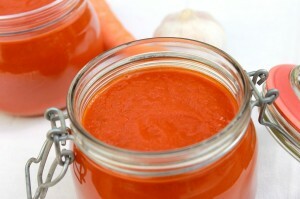 The longer the better basically, but if you are in a hurry, 45 minutes will still give you a very tasty sauce indeed. 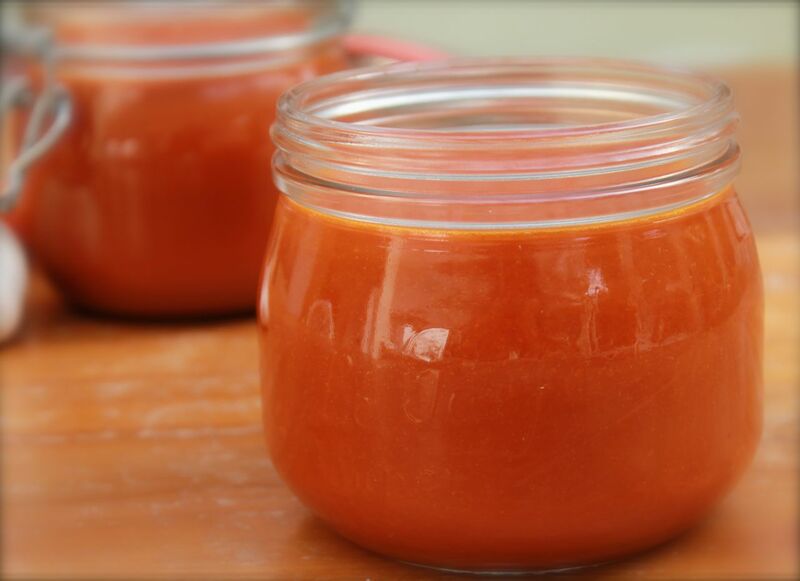 Once the sauce has changed from red to a deep kind of orange, you know you’ve achieved it. Use a bit less water if you cook it for 45 minutes. 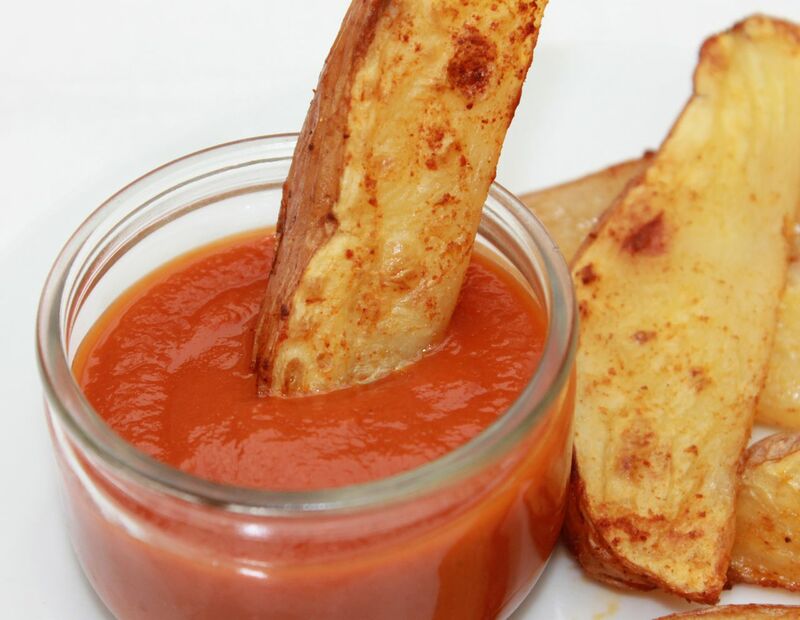 It’s the perfect sauce to use as a base for your pasta, rice, pizza base or even as a dip for you potatoes wedges or chips. It’s a lot nicer than ketchup. 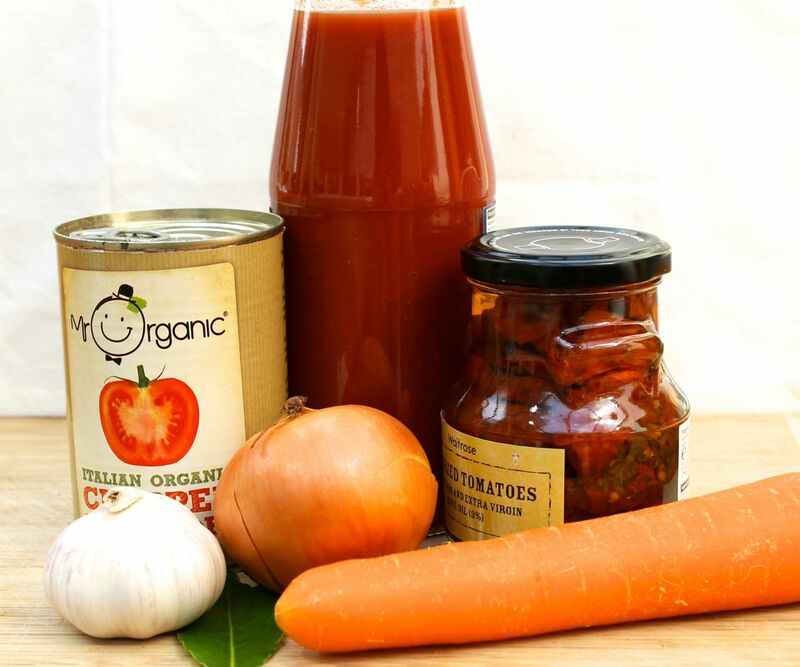 You can spice it up with smoked paprika or add chopped veggies for a pasta sauce. It will keep a few days in the fridge. This recipe yields for just under a litre of sauce, plenty enough for a few dishes. Heat the olive oil in a pan and fry the onion for a few minutes. Add the carrots and cook until the onions are soft. Mix in the minced garlic and fry for a minute. Add all the remaining ingredients. Give it a stir and cook on a low heat with a lid on for 2 to 3 hours or as long as you wish. Give it a stir from time to time and add some more liquid if needed. The longer you cook it, the thicker the sauce will be and the more flavour you will get. Be sure to cook it at least for 45 minutes. Remove the bay leaf. Add seasoning and put the sauce in a blender if you like a smooth finish.